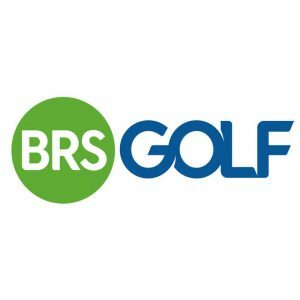 Check BRS for upcoming (Club/ Open) Competitions or Book a Tee Time. Men’s Winter League 2019 ( Team Sign Up Sheet on Notice Board in Club House or ring the Club House at 05787 31450 to get your Team in.) Winter League starts 12th January 2019. 3 players per team . Teams are allowed one substitute player, this player can only then play for that team. 5th Round “Dusty Bin” to be played between Saturday 9th & Friday 15th February 2019. Rules 3 Ball Scramble: Scoring is by Stableford (1/10 combined Handicap). Placing everywhere. Each player tees off, select drive to be used, ball must be marked within 6 inches, whosoever drive is chosen must play next shot first, other two players then place their ball within six inches of the spot and play their shot from there. The same rule then applies to all subsequent shots, including on the greens. A player may NOT finish the hole before other players putt; otherwise the first putt must be recorded. Please sign in and return scores on the computer. 3 Ball Rumble Rules: Scoring is by Stableford. On the first five holes (1-5) the best single score for these holes is recorded in the appropriate columns (A, B, C ) on score card. On the next 5 holes (6-10), the best two scores are recorded in the appropriate columns. On the last 5 holes (11-15) all three scores are recorded in the appropriate columns. If a player is unable to score at a hole, he should pick up his ball in the interest of keeping the play moving. 3,2,1 Dusty Bin Rules: Scoring is by Stableford. Three scores to count at the 1st Hole, two scores to count on the 2nd Hole and one score to count on the 3rd Hole, then back to three scores to count on the 4th Hole, two scores to count on the 5th Hole and one score to count on the 6th Hole and so on for the full 15 Holes. Scores must be entered under the name of the player or players whose scores count at each hole. Please make sure that all three players names and handicaps are clearly printed on the card, as well as the name of the competition and the date. Don’t forget to sign the card. When entering a competition 1. Enter your name in competition book. 2. Pay entrance fee. 3. Collect score card. 4 Sign in on computer. When finished round 1. Check you have signed score card. 2. Check your marker has signed your score card. 3. Enter your scores on the computer. 4. Put score card in correct score card box. Sunday 20th January Captains Drive In. Saturday 23rd to Sunday 24th Play and Dine Open Singles Stableford Golf with all day Breakfast. Saturday 9th to Sunday 10th March Fourball Any Combination. Saturday 27th to Sunday 28th April Free Sub (Fully Paid Up Members Only) Singles Stableford. Saturday 29th to Friday 30th June June Medal (Singles Stroke). Sunday 1st September Lady President’s Prize Ms Teresa Bradshaw Day 2 / Mens 9 Hole Competition.